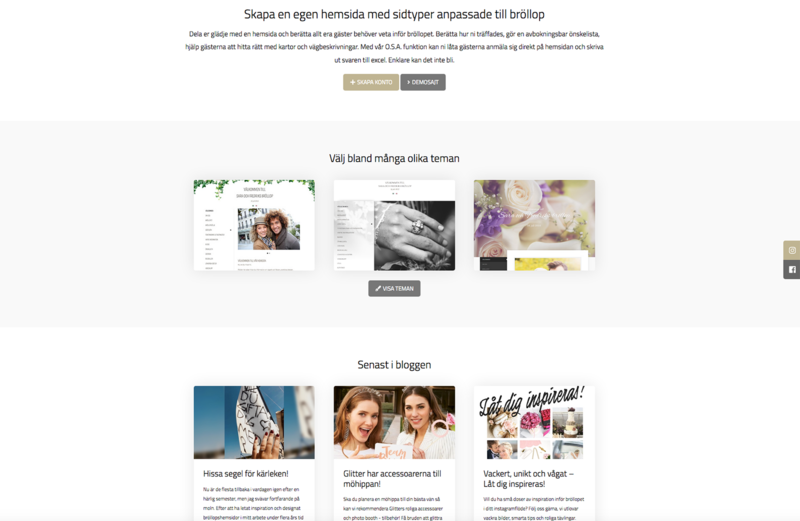 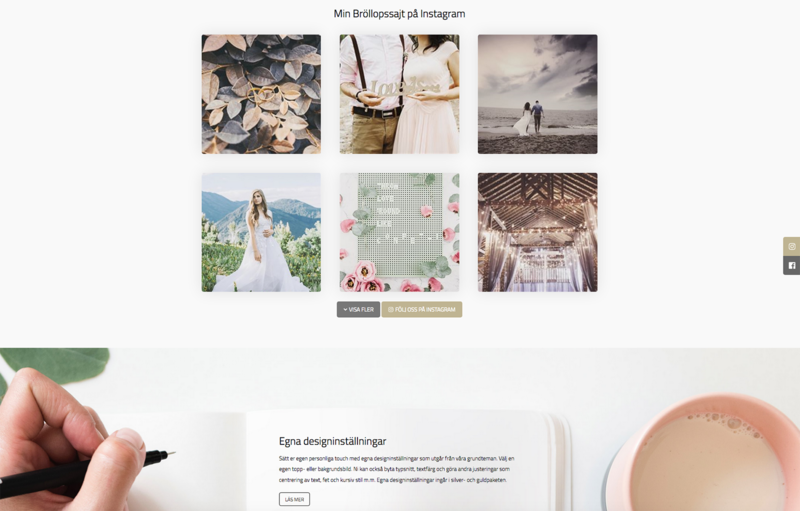 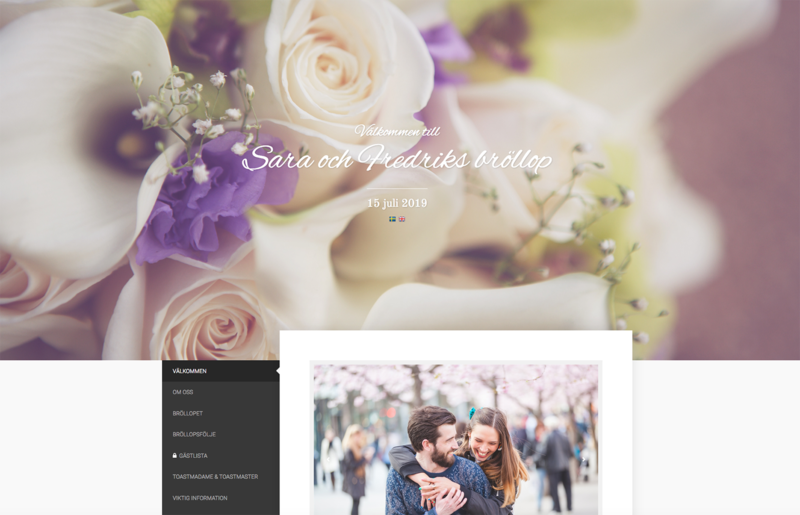 Min Bröllopssajt is a website where prospective wedding couples can create their own website to share everything that will not fit on the wedding invitation. 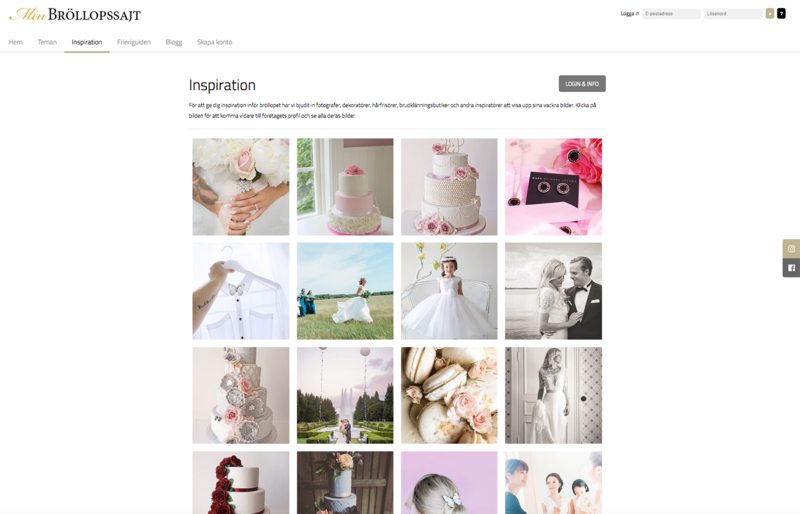 With their own back office made easy to use and many different themes to choose or modify they will have their own very personal wedding website. 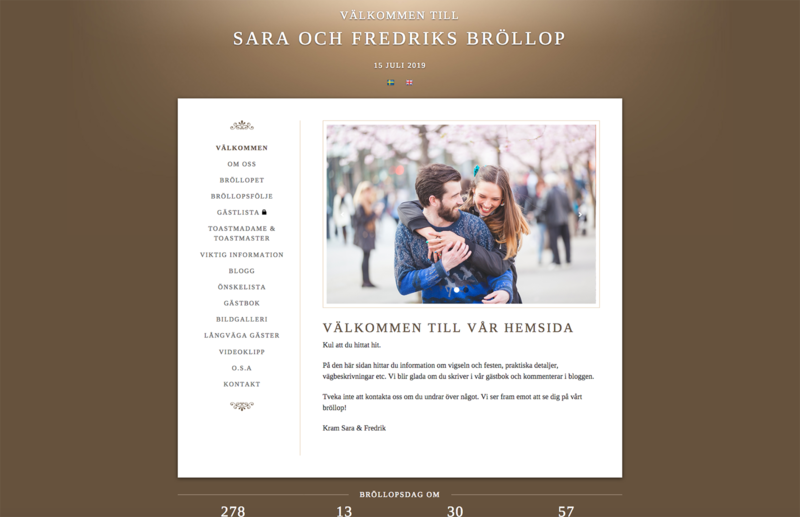 Min Bröllopssajt is a proprietary product developed and operated by Rodeopark.